We’ve all read and heard different than and different from in our daily communications. We use them when we want to compare two things or more. Is one more correct than the other is? How do these two differ? 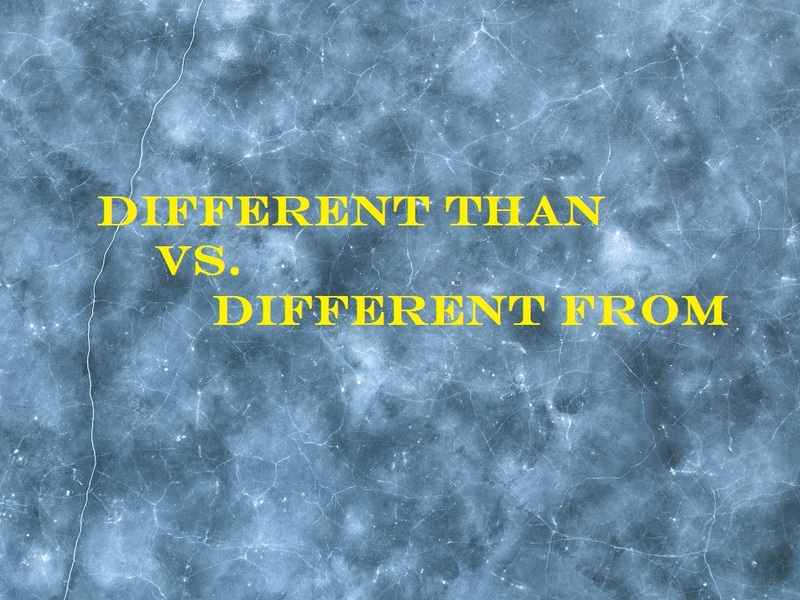 The word different is an adjective which means ‘not the same’. Adding the word from or than, however, creates a comparative phrase. Although the two may seem interchangeable at all times like your English teacher may had said, there are fundamental differences between the two. Let’s elaborate more on the differences below. Since a sentence containing the word than requires a subject and a verb, you should make sure there’s a subject and a verb when you use the phrase different than. This chicken pie tastes different than I remember. The expensive cruise is different than the tour guide promised. My new bike is different than I expected. We use the phrase different from as a separating phrase. It’s directly followed by a noun or pronoun. Why? Because the word from is a preposition which needs an object. This hotdog is different from your sub. Why is my lunch different from yours? Your Batman costume is somehow different from mine. When you want to play safe, always use different from. Be it for an essay, business memo, or a short story. It’s the one that will draw the least criticism from the readers. In fact, for a formal communication, using different from is pretty much the only acceptable one. When you’re feeling adventurous and you have what it takes to back your move, go with different than. So, which one will you use from now on? Will you still use different than or will it strictly different from this point on? Anyway, if grammar is not your forte, you should try the online spelling checker. Not only it will catch those pesky misspellings, but it will also check your grammar. It’s a handy tool, alright.